So in the hope of not falling into the habit of posting double Sunday Sevens post…here’s my midweek Sundnesday Sevens (or fives! ssshhh! 🙂 In no time at all I’m finding myself wondering where all of my spare time is going! And I’ve also been forgetting to take photos AGAIN!!!! 3. The ‘eatery’ across from work is my new favorite place to eat – it’s called Newks – I’m sure there are a few around the US. 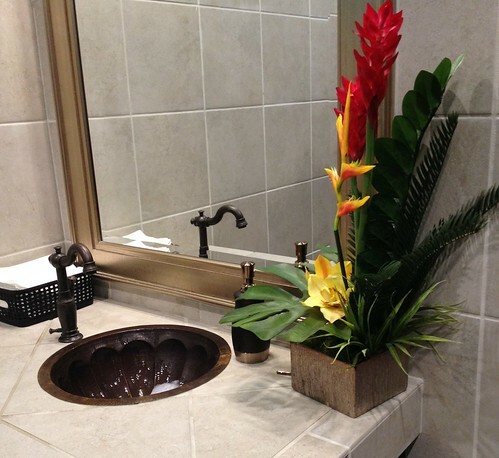 They do an amazing grilled chicken baguette style sandwich, and they have pretty bathrooms! 4. Buzz crept into the hallway and took advantage of the warm clothes in the dryer! I was a little cross as it was my black load of washing but he was being very cute! What a silly dog! Jumping into the he dryer. 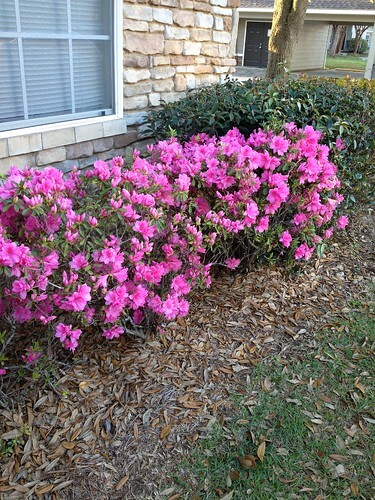 I love the azaleas outside of your apartment. You said there are more bushes? Are they other colors? Mine bloom in strange sequence. Rarely all at the same time. My neighbor has over 100 azalea bushes in her yard. It’s quite spectacular. I will post a pic of my neighbors yard when it blooms. It’s amazing. 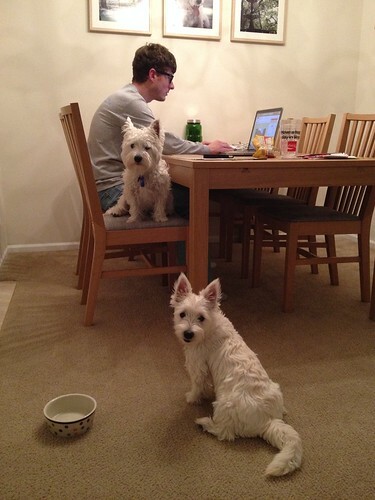 Adorable piccies of your pups, and grand look for the hair! Haven’t heard of your new eatery, but will keep my eyes open for one up here. Do check that dryer before hitting the “On” button! 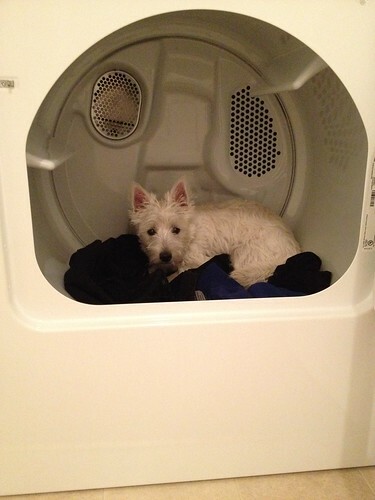 Be careful not to turn the dryer on with Buzz inside! 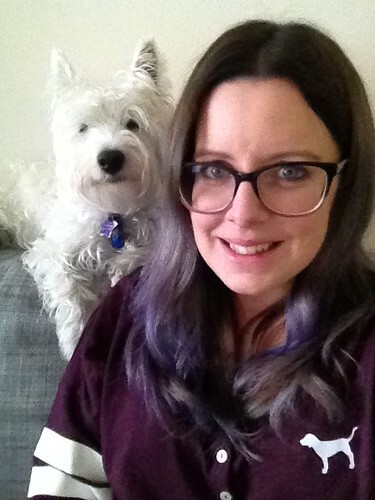 Love your hair colour and matching Maisie! Haha! It certainly is the little things 🙂 I’ll probably go back too, more because of the nice bathroom!